Internet marketing experts, With over 10 years of experience in creating and managing eCommerce and content sites for the international market, as well as building and managing large CPC campaigns and social media advertisements. 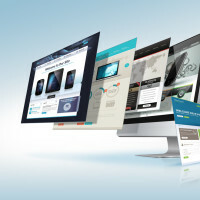 Our biggest advantage is our experience in both web development and online advertising. 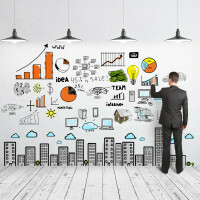 With this combination we can come up with a complete plan for building, implementing, promoting and growing your dream. Affiliate marketing, SEM, PPC, Google Adwords Qualified Individual, Copywriting, Social media marketing. With more than 10 years of experience in web and mobile development, We can take care of all the development aspects of our clients. We work with the top line of Israel’s web designers, UX and UI specialist, to make sure our websites are optimized for both desktops and mobiles. We believe that all websites should focus on the user and that’s why we try to emphasize the importance of mobile development and design to all our clients. Almost 50% of the users will see your website from a mobile device, the screen is much smaller so the website should be optimized for that. Most of the methods we use are open source methods, so once your website is done you can choose whether you want to maintain your website with us or whether to take the finished product and work from there with your own developers. Gazit-Globe (TASE: GLOB; NYSE: GZT) is one of the world’s leading multinational real estate companies engaged in the acquisition, development and management of income-producing properties. We provided Gazit with a complete website solutions including design and development. Spacial needs of the customer were: custom cms, multi-user management and integration with social networks. An international communication company that provides multilingual translation over the phone without the need for internet service. 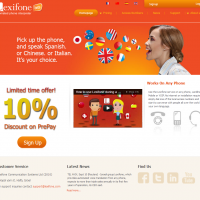 We provided Lexifone with a complete website solutions including design, development and integration with their own user database and systems. 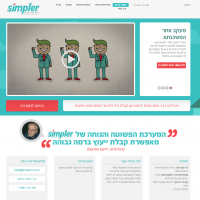 Simpler is an Israeli start-up that provides complete financial solutions for customers who needs to take a mortgage. We provided Simpler with a complete solutions including planing, designing, developing and implementation of the idea into a full working website. 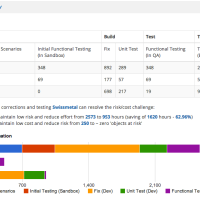 Panaya had an algorithm to calculate the roi they can save when upgrading your system. We Provided them with an online solution and converted there local calculator to online. We also needed to provide a slick UI and UX for the flow of their potential customers including designing the answer page with connection to google charts to display interactive charts. We provided Android Newbies website with a solution for their mobile users. We built and designed a mobile version of their website including auto detect and redirect of users coming from mobile. 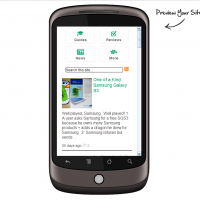 We also integrated the Google custom search of the customer into the mobile website version. 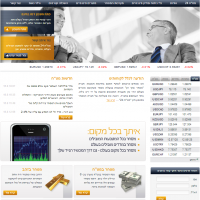 Matach24 is one of the Israel leading Forex trading company. Spacial needs of the customer were: integration with their custom CMS, multi-user management, integration with social networks including landing pages and content , PPC campaigns management and large networks ads serving. We also designed, developed and managed the customer affiliate network. 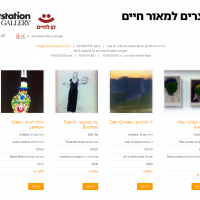 This website was a volunteer work we made and it featured top painters selling their work to raise money for a treatment. Spacial needs of the customer were: building the website in less then 5 days and providing hosting, tech support, and every technical need the customer had. 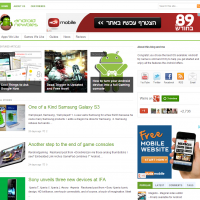 Android Newbies is one of the world’s leading blogs in the Android community. We provided Android Newbies with a complete website solutions including design and development. Spacial needs of the customer were: full integration with the top social networks, mobile version development, custom search engine integration. Sukanya Thai Massage is the first traditional Thai massage in Haifa, Israel. We provided Sukanya with a complete website solutions including design and development. Spacial needs of the customer were: integration with Google calendar and integration with social networks.